If you love to kite boarding or have passion to learn this art, then Duco Maritime is perfect institute and site for kite boarders to perform this activity in Dubai. Duco Maritime is located at Jumeirah Beach that is an ideal place for kite boarding. Moreover, they hire only IKO qualified instructors to train their students that makes it more prestigious. In addition to kite boarding, Duco Maritime also offer facilities for surfing as well, aside from coaching provision. The Stand Up Paddle Boarding (SUP) sessions are conducted at this facility for surfing devotees, which help them a great deal in gaining fitness as well. This maritime club offers kite boarding and surfing facilities along with professional training. Therefore, people of Dubai can not only discover kiting at this leisure site, but they can also improve and learn essential tricks about kiting together with basic lessons of surfing and gain fitness through Stand Up Paddle Boarding (SUP) sessions. Jumeirah 3 Park 1, Jumeirah Beach, Umm Suqeim 1 Park 1, Safa Park and Jumeirah Beach Park. 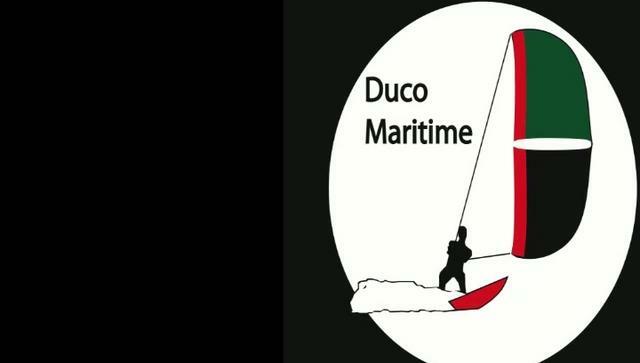 Duco Maritime offers various sessions of kiting and surfing. Therefore, each session has different charges such as for one on one tuition of kiting, they charge AED 300 for each hour. In case, of group lessons charges will be AED 200 per hour for each student. When it comes to one hour long SUP sessions, it will cost each student AED 150. Those, who want to learn the exact opening hours of Duco Maritme should contact its management on the aforementioned number. Jumeirah 3 - United Arab Emirates. Duco Maritime is located far away from any of the metro stations. Therefore, one cannot reach it one foot from any metro station, so best option to get to this site are by car or bus. 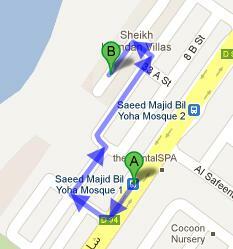 Saeed Majid Bil Yoha Mosque 1 bus stop is 9 minutes walk and 700 meters journey from Duco Maritime. Bus numbers 8 and 88 serve this bus station through them anyone can easily get to Saeed Majid Bil Yoha Mosque 1 – Dubai. After arriving at this bus stop, bus user should head in the southwest direction on شارع جميرة‎/D 94, then turn right towards 6 B Street and later make a right turn onto 6 B Street. This will bring the bus user to a left turn that will lead them at 8 B Street, from where they should turn left and then make another left turn in order to spot the destination just a few feet away on the right side. Checkout map for directions.